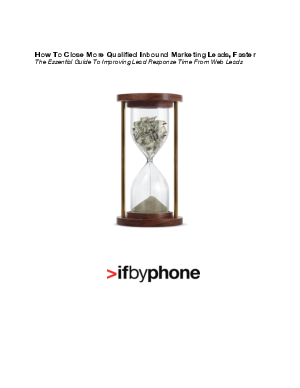 White Paper Published By: Ifbyphone, Inc.
Prospects are browsing your company’s site all the time. They may have specific questions that, if answered right away, could be the difference between a sale and the visitor leaving for a competitor’s site. This guide goes over some eye-opening stats on the value of fast lead response and tells you how to ensure your sales team can connect in conversation with web leads faster.